With a BSc in Electrical Engineering from the University of Bahrain, Tareq Fakhroo went on to obtain his Master of Science in Electrical Engineering from the University of Central Florida in 1995, followed by his second Master of Business Administration from the University of Bahrain in 2002. Currently, Mr. Fakhroo is the Deputy Chief Executive and Board Member of Mohammed Fakhroo & Bros. WLL, as well as the Director of Fakhroo IT Services WLL. 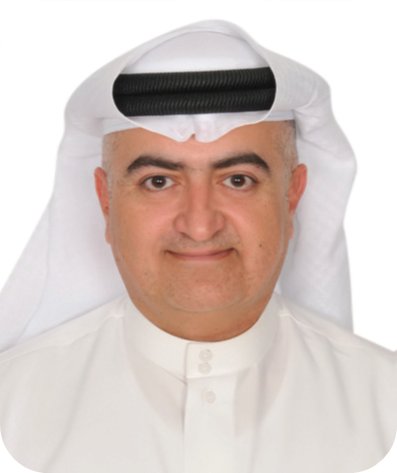 Mr. Fakhroo has previously held the positions of Manager, eCommerce and Portal Services in BATELCO, Senior Manager, in the capacity of General Manager of Arabian Network Information Services WLL (A Batelco subsidiary), as well as Board Member of Khaleeji Commercial Bank (KHCB).